Are Your Promotional Products Doing Their Job? 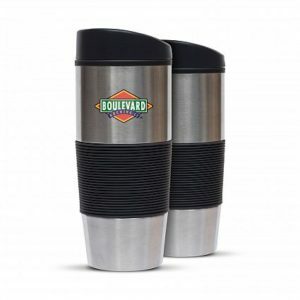 Promotional products make the perfect giveaway all year round. Distributing promotional products with your company’s branding is a creative and cost-effective way to increase sales and create brand awareness. 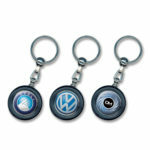 Give a logoed item to a happy customer and you increase the chances of that person becoming a brand ambassador. 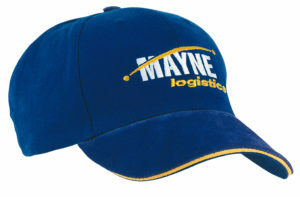 When a customer wears your logoed cap, t-shirt or backpack, they become a walking billboard for your company. Give a logoed item to a prospective customer and they will likely keep it for several months. Each time they see it, that’s another impression and repetition of your brand’s message. Which company will be top of mind when they are ready to make a purchase? Yours! 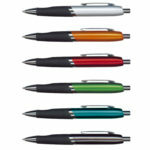 But how do you choose the best promotional product for your business? Think about the recipients and give them an item they will like and use. Targeting office workers? Choose an item they can use at their desks; pens, USB Flash Drives and note pads are all items they will use repeatedly, each time reinforcing your brand message. Targeting outdoors lovers? How about backpacks, water bottles and caps? 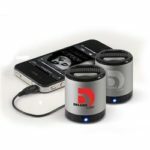 The sky’s the limit when it comes to promoting your brand via products and corporate gifts. At EmbroidMe we have a huge range of products that can be branded, so give the friendly team at your local EmbroidMe store a call. They’ll help you find the perfect solution. Call 0800 77 33 30 or visit embroidme.co.nz! Have You Started Planning for the Festive Season? As we launch into the final months of the calendar year it’s time to start organising your Christmas gifts and promotional products for your clients and staff. Make sure you’re ready for December by planning ahead now! It’s tradition to give gifts to friends and family every year, and how nice would it be to do the same for employees, customers and partners too? Not only do corporate gifts show gratitude to the people who have made an impact on your business throughout the year, they are also excellent tools to foster strong working relationships and encourage repeat business. Gifts to employees show that they are valued and appreciated as individuals and recognises their performance and achievements. At EmbroidMe we have a huge range of products that can be branded, so now is the time to speak with the friendly team at your local EmbroidMe store who will help you find the perfect solution. Have you stopped your brand from going into hibernation this winter? Winter has now arrived and Jack Frost has certainly left a chill in the air! You all know the secret to keeping warm is by wearing layers, but that doesn’t mean your brand needs to go into hibernation in these colder months. We have a great range of jackets that will suit all types of work and lifestyles; you could even add a beanie and umbrella! Keep reading to find out how you can put winter to work for you. The need to rug up in the colder months is a bonus for businesses looking to make an impact through branded products. Winter apparel branded with your logo can keep your brand from going into hibernation. Here’s a few ways you can put your brand to work for you this winter. Jackets & Vests – From corporate, casual, fleece, soft-shell, sports and puffer, we have a jacket to suit all types of work and lifestyles. Beanies – Head out with your brand. Beanies branded with your logo are a great addition to your uniform, and make excellent giveaways. Umbrellas – Everyone loves a good quality umbrella! They’re also a hassle-free way for your staff and clients to do some marketing for you. Check out the range in store or click here to view the full range of products we can source. Is Your Team Geared Up for Winter? Now that daylight savings has come to an end, it means winter is fast approaching. These colder months bring rain, wind, frost and cold temperatures. Are you keeping your team warm and dry this winter? Now’s the time to start updating your winter wardrobe, don’t wait for winter to set in. When it comes to winter fashion many people would tell you that the trick to keeping warm is by wearing layers, but that can cause an issue for your company’s branding. Uniforms provide excellent benefits for your business, however in winter the company logos and brands frequently get hidden behind non-branded jackets. Branded jackets give your team credibility in the same way a branded shirt does, and including a branded jacket in your uniform dress-code means staff and team members will take the brand with them wherever they go this winter. A good brand uniform reassures customers that the plumber, builder, or any type of tradesman or delivery person that turns up to their house is actually from the company they called. But it’s not limited to that. Sports teams and coaches are easily seen, professionals are identifiable in meetings, event staff and road-workers are visible, salesmen gain credibility, and ultimately everyone is kept warm. Don’t only provide your staff or team with shirts to promote your brand, invest in jackets to ensure that your brand isn’t hidden. Get Your Team Ready for Sports Season & Score a Free Reflex Sports Bag! Brighter days are ahead with summer approaching! Are you more motivated to go outdoors, soak up the sun, and enjoy some fresh air at this time of the year? Now that the weather is getting warmer sports season will be starting to kick off, so there’s no better time to organise your team’s uniform whether it is for on or off the field. Nothing brings spirit and camaraderie to a team like quality team apparel! We provide branded sports garments to clubs, sports teams, schools and organisations. Everything from dri-gear with moisture-wicking technology to collared polos, shirts and track suits. For a limited time only if you order 12 Reflex Polos (DGRFP) and/or Reflex Pullovers (DGRFZ) you’ll receive a free Reflex Sports Bag*! Give us a call on 0800 77 33 30 or visit us online to find out more! Quality umbrellas at value pricing! Receive FREE logo setup on all “Supacolour” orders! As we come into winter now’s the time to ensure you have an umbrella ready for those wet days. Even better, umbrellas make the perfect marketing tool; your brand can come out in force. This is a hassle-free way for your staff to do some marketing for you. 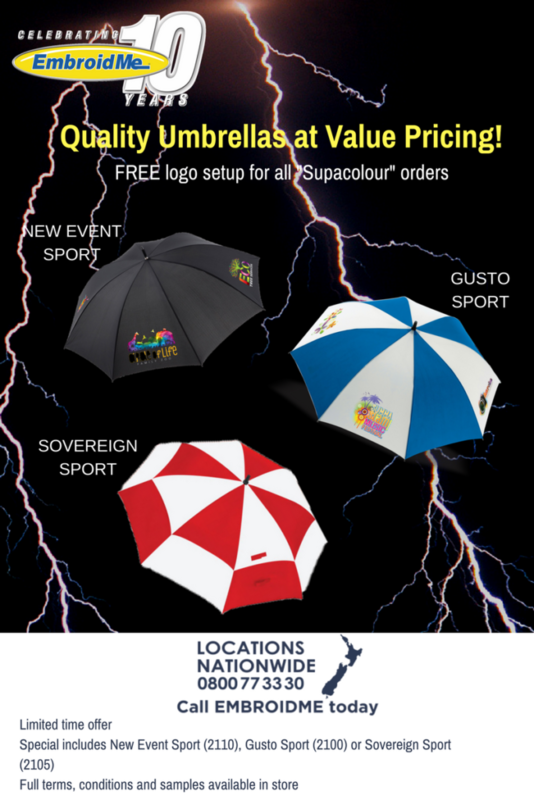 Purchase any New Event Sport, Gusto Sport or Sovereign Sport umbrellas and receive FREE logo setup on all “Supacolour” orders. Drop in to your local EmbroidMe showroom or give us a call on 0800 77 33 30 for a quote. This offer is only available for a limited time. T&C’s apply. Is your team lacking morale? It might be time to introduce a corporate uniform. Reaching your maximum potential as an organisation is really only possible when you have a cohesive team on board. You need a team that identifies with the same values as the company, as well as working towards shared goals. If you are finding that your employees are working as individuals, rather than a team it is highly likely that your employees do not feel as though there is a team environment. Therefore your employees lack morale. However, there is an extremely simple way to boost team morale at an internal level, introduce a corporate uniform. While employees are likely to resist the idea of a corporate uniform they are not just beneficial to your company, but also to the employees themselves. Often employees find it extremely hard to bond and develop positive relationships with their superiors and their colleagues. So introducing a uniform effectively blurs the lines between management and employees. As everyone is wearing the same apparel, employees will start to feel as equals. There will now be a sense of an all for one, one for all working environment making it far easier to form positive relationships. As a result the level of communication between an employee and their superior will often increase. Secondly, corporate apparel becomes a major part of your corporate identity and culture. Uniforms often serve as a source of pride, people feel proud to represent the team they are a part of. So wearing the company name, logo or tagline on their shirts enables employees to strongly identify with the values held by the company. Ultimately by boosting your teams morale and creating a positive working environment productivity will inrease, employees will now strive to attain their goals. Is it time to boost your teams morale with a corporate uniform? EmbroidMe has a solution for you. EmbroidMe is New Zealand’s largest embroidery franchise, providing custom embroidery, screen printing, and promotional products nationwide. With a range of high quality corporate apparel the team at EmbroidMe will work with you to choose apparel that suits your teams identity and culture. Give your local EmbroidMe store a call today, and start keeping your logo front and centre every day. 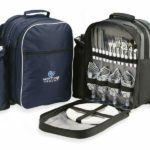 Buy branded corporate gifts and promotional products and go in the draw to win a MEGA prize pack!! As another busy year comes to an end, and we get closer to Christmas, it’s the perfect time to promote your brand and show others how much you care. Corporate gifts and promotional products are a fantastic way to reward your customers and staff, and really show how much you appreciate them.